Does your company run without you? It’s a simple question with a “yes” or “no” answer. Yet, most entrepreneurs struggle to answer this question. You can tell me about how profitable you are and how large your company is later. Come on hotshot, answer the question. Does your company run with you? Afterall, you say, you’re successful because you found a massive problem and solved it. You are your company, and your company is you. Let me answer your question with a few questions. Are you looking for true success and fulfillment? Interested in selling your company for 9-figures, or more? Would you like to stop the daily grind so you can work on your business and not in it? If you answered “yes” to any of the above questions, you M.U.S.T. have a company that runs without you. My 9-figure exit from my EdTech would never have been possible if my company revolved around me. How can your company run with you? Click Here To Download My Cheat Sheet On: Your Company Runs Without You. When you define your goals, you define your life. Want to change your life? Change your questions. What happens when your company runs without you and has spectacular results? When your company runs without you, you also create options. You can now sell your business. And when your company runs without you, you’re freed up to work on the business instead of in the business. And while you’re at it, you’ll have time to figure out how to create a market disruption. Your company value just went up fourfold. When you first started your company, your passion, motivation, and excitement were over-the-top. But something happened. Your company grew, problems arose, and your time was no longer your own. Your success has now become your handcuffs. What areas should your business be in that it isn’t? What needs to happen so that your company runs without you? What kind of people are not in your company that should be? What does a perfect day look like for you and how you spend your time and focus? Now you’re ready to do what Grandparents do so your company runs without you. Grandparents? Yup, read the next section to find out why. What do grandparents and business have in common? When you raise your children you’re also raising your grandchildren. Parenting involves sleepless nights, constant worrying, and a tremendous time commitment. In the blink of an eye, your baby is an adult. And before you know it, you’ve won the lottery with grandchildren. The values you’ve instilled in your children are passed to your grandchildren. Grandparents swoop in to spend precious time with grandchildren. Mentoring, storytelling, and learning take place. Grandparents are only too happy to have the parents take over when the grandkids are cranky. Your company runs without you when you act like a grandparent. When you hire a team, you train each team member. Like young adults, your team learns and becomes independent. When your team has questions or fails, you mentor, support and teach. Your team has grown up and are now competent leaders who achieve. Congratulations, you’re living the entrepreneur life. Your team mentors the next generation of hires with your values. The circle of life is complete. Your time is your own. You can now work on the business instead of in the business. And yes, you now have a valuable company. Keep reading to learn the five things you must do when training your team, so your company runs without you. When it comes to training employees, most business owners fail. Time pressures, ego, and impatience get in the way. Ironically, time spent on training pays itself back when your company runs without you. First, document everything in your head. Lots of heavy lifting here. Systematize and create procedures. For everything. Your goal is to replace yourself. Next, give away your control. Ensure everyone knows who’s responsible in every area of the business. Third, create a company culture that’s vibrant and reflective of your goals. Lose the mission statement plaque in reception that nobody reads. Ensure that mistakes not only happen but are welcome. Make your culture a living thing that interfaces with every decision you and your team make. Fourth, encourage your team to ask questions. Lots of questions on everything and anything. Have your team know that in business and life the only stupid question is the one not asked. Last, simplify for success. Time changes and systems become obsolete. What worked when you started your business, may no longer work. Make it a mandate for your team to find and replace systems and processes that hold your company back. You’ve succeeded when, and only when, you can fire yourself and still have your company run without you. When your company culture has your employees think like owners, everyone wins. But for your employees to think like owners, you must do four specific things. What are these four things that help your company run without you? Keep reading, my dear reader, this is the precise topic of the next section. When your employees think like owners, your company runs without you. And chances are, your company will be more successful and profitable. How do you have your employees think like owners? First, create a bonus based on both individual and company performance. My best experience is a bonus that pays out 33% of its value in year one. The next third is realized in year three. The last third is paid out in year four. Employees lose all residual bonus amounts if they leave. Stand back and watch your employees dazzle you with innovative solutions. Your employees will embrace running like a cockroach startup. Fire yourself as the chief rainmaker for revenue and find a way to create recurring revenue. This fourth point is a big one. Do it anyways. You’ll be insanely happy and successful. Last, ensure that processes are always written down and updated every quarter. Written processes ensure your company runs when the players change. When your employees think like owners you’ll have happier customers and larger profits. Congratulations! You’ve defined your life goals. When it comes to your employees, you now act like a grandparent. You’ve trained your team, and best of all, your employees think like an owner. Next up, take a long vacation. You read that right. Take a long vacation. On your vacation read. Read to succeed even more. You’ll come back with your passion and belief on an all-time high. And you’ll need this for the mistakes that happened while you’re away. And this is good as this is the only way you’ll know if your company runs without you is when you’re not there. In 1995 the Federal Deposit Insurance Corporation issued an important memo to banks. 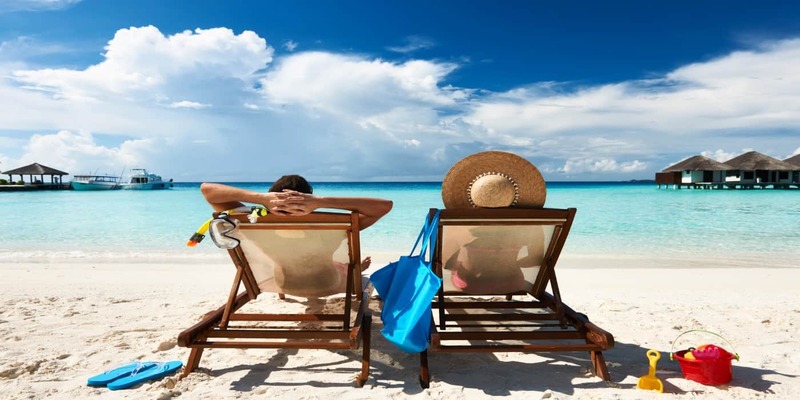 Long story short, banks should mandate two-week vacations for all senior people. Banks should know what systems work or don’t work when a key person isn’t around. Banks also prevent fraud and theft. Put you and your team to the test by taking a long vacation. You’ll find out what works, and more importantly, what doesn’t work in your company. When your company runs without you, long vacations are a necessity for your success. You’ll recharge and come back with a fresh perspective to help your company dominate and win. With your team leading the way, of course. And should you decide to sell your business, the buyers will pay a premium knowing that you’re not needed. When your company runs without you, everyone wins. Employees win through more opportunity within your company. Customers win because your company is now better at delivering excellent results. Every day. All day. All year long. And you win by having options. You can choose to work on the business and find new areas to dominate and win while your team works in the business. Your time is yours, and you choose how to spend your time. You may also to choose to sell your company. When your company runs without you, buyers pay a premium. I started my EdTech business as a one-man show. It was great until it wasn’t. It wasn’t long before I was burnt out from doing everything on my own. My business stopped growing. Prospective customers were fearful of working with a small company run by its owner. After much trial-and-error, I created a system where I could replace myself. Over time I built a team and a company culture that thrived on its own. And the great news, my dear reader, is that everything you need to be successful you already have within you. Right now. Your future success is there for the taking. You can do it. I know you can.